Although it seemed as if Bitcoin was making some sort of recovery today, that positive momentum has evaporated once again. This also affects all other top markets. 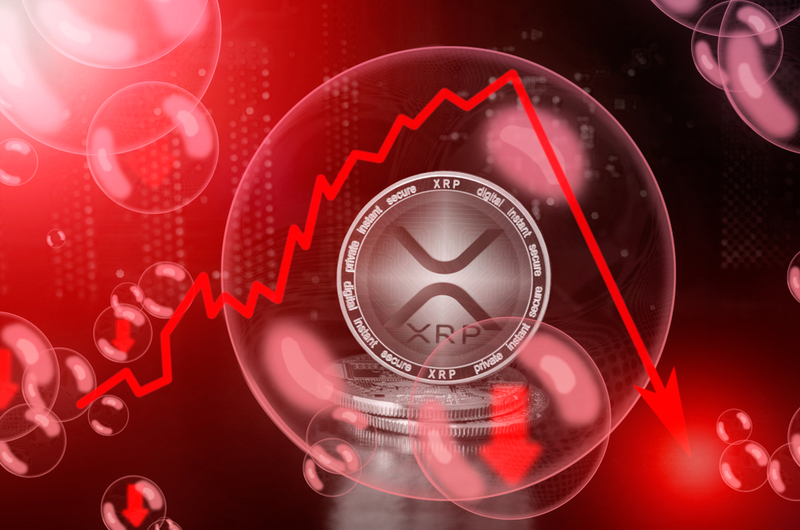 One of the first victims comes in the form of the XRP price, which has dropped below $0.29 in the past few hours. Once again, investors will not be too pleased with the way things are going as of right now. The year 2019 is not going down in the history books as a profitable one for cryptocurrency traders. It is equally as bearish as 2018 was, even though the overall value declines are still relatively small. The main question is whether or not the total market cap can remain above $100bn this year. So far, that scenario looks less and less plausible by the minute. It also seems the XRP price will not go through a positive spell any time soon. Over the past 24 hours, there has been minor positive momentum for XRP. In the past hour or so, however, it has turned into a net loss across the board. This latest 1% drop in both USD and BTC value drives the value below $0.29 and also below 8,400 Satoshi. Neither of these developments is positive, as XRP usually gains on Bitcoin when the world’s leading cryptocurrency is losing ground. There is some positive news to note, albeit it will not necessarily impact the price is any real fashion. It would appear Ripple managed to sell a fair share of XRP to institutional clients and partners throughout 2018. The fourth quarter of last year has been pretty solid in this regard, which seemingly confirms there is a growing interest in this asset by companies effectively looking to use it. The second bit of interesting news comes from Uphold. This trading platform is seemingly using the XRP Tip bot on Twitter, which is pretty interesting in its own regard. The company also holds quite a supply of XRP in their reserves, which further adds to the transparency of the platform. If only other platforms would follow this lead by example, the cryptocurrency and digital asset industry would become a lot better. Charles is getting quite depressed by both XRP and the overall cryptocurrency ecosystem. As the declines continue to pile up every single week, there is no real reason to be optimistic. Nor is it a reason to be depressed, as things will turn around eventually. When that will be exactly, remains to be determined. #xrp and #crypto in general has become so depressing. How all of this will look in a few days from now is very difficult to predict. Although a lot of positive developments are happening behind the scenes, it would appear nothing can effectively make the prices budge in a positive manner. Al minor uptrends are turned into negative trends pretty quickly and that pattern will not necessarily change in the near future either.